*We have been getting rid of our less healthy snacks, like crackers and chips, and we are replacing them with things like dried fruit, cut veggies, and nuts. *We are lowering the amount of meat based meals we consume and have decided to eat healthy meatless dinners at least 3-4 days a week. (we typically always have some sort of meat at dinner so this is a big improvement). I have been browsing Pintrest and a few other great food based blogs for new healthy recipes and I have slowly been adding them to my permanent recipe collection. Although I know healthy eating is a major key in living a happy long life, if it doesn't taste good I just can't make it a habit (sad but true). So, if you are anything like me, you will be happy to hear about my plan to start posting reviews about healthy recipes I have found online! I will let you know if I truly liked the dish and if it is something I would be willing to make again. 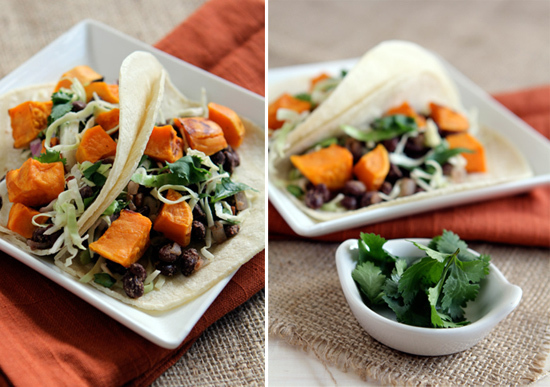 Up first we have these Black Bean & Sweet Potato Tacos from Style & Grace. Honestly... I loved them! I always seem to forget how much I like sweet potatoes, they really do make this meal very tasty. Also, parring them with black beans and cilantro flavoring created a perfect combination of flavors. Definitely adding this to my recipe box! 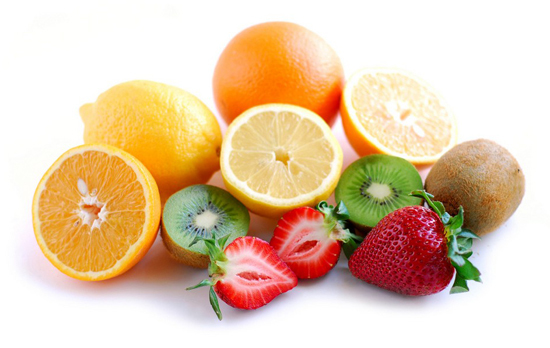 Have you seen any great healthy recipes lately? *Ps. I have made a goal to loose 5lbs by my birthday, which is exactly 1 month from today...I figured if I blogged about it I would be more inclined to stick to it. Wish me luck! Yay!! I need more healthy recipes. I will send you some of my favorites! We have been eating HORRIBLE!! Thanks to moving, packed away dishes, and being on the road it's been fast food all the way! I feel so gross!! This is an excellent list for me too! I'm saving this page. I have weight loss woes too, ugh. :-/ You've really motivated me today though. Thank you! Wow good for you making these healthy eating decisions! I have been trying to add protein alternatives to our meals, and eating more of the things they say are the "most healthy ingredients". I'm looking forward to reading some of your healthy recipes you post! Ahh this is good, im always up for healthy meals, and love home cooked foods, last night i made this low calorie chick pea ratatoulie, it was a real winner at the dinner table, taste amazing and super healthy, worth a try.